Cooler temperatures, heavy rain, and the potential for flooding are ahead in your late week and weekend forecast. 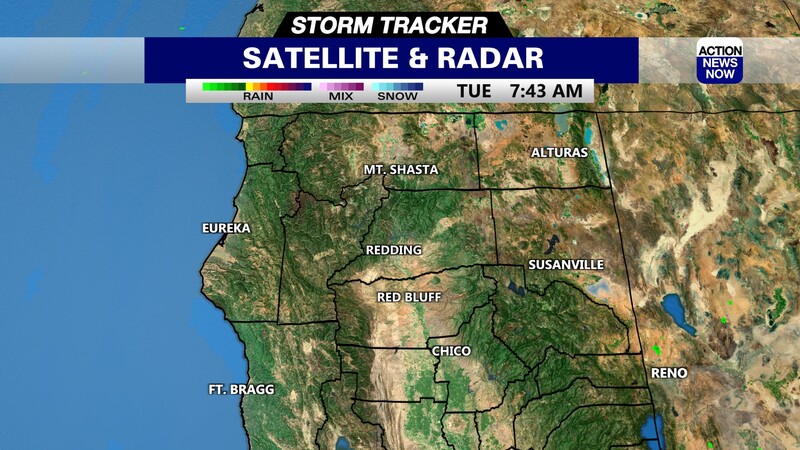 A big change of pace is on the way for your Thursday forecast across Northern California. Cooler temperatures, and showers are returning to our region today, and wet weather will be ramping up through the end of the week. There is also potential for heavy rain and snowmelt to result in flooding from late Friday through Saturday night. A Flood Watch will go into place on Friday afternoon, and will stay in place through Sunday morning. Rivers and streams are expected to swell, and water flows will become very swift. Temperatures are starting out in the mid to high 50's in the valley this morning, and in the high 30's to mid 40's in the mountains. Showers are expected to return to the Coastal Range and Northern Mountains this morning, and will then spread inland across the remainder of Northern California tonight. Valley areas will more than likely stay mostly dry through this evening. Temperatures will end up in the mid to high 60's in the valley this afternoon, and in the mid 50's in most mountain areas. Winds will be up to 10mph out of the Southeast. Heavier rain and cooler temperatures are on the horizon for your Friday and Saturday. 2" to 3" of rain will be possible for the valley, and up to 6" of rain could fall in the mountains. 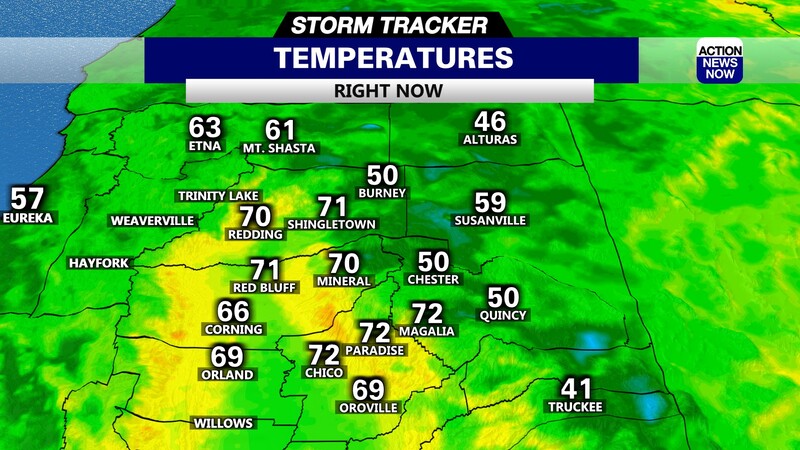 Temperatures will top out in the low to mid 60's in the valley on Friday and Saturday. Snow levels are staying very high through mid day Saturday, but will likely drop to around 4500' on Saturday night. There will also be a decent potential for thunderstorms in the valley on Saturday afternoon. Winds will become very gusty for the end of your week and start of your weekend. 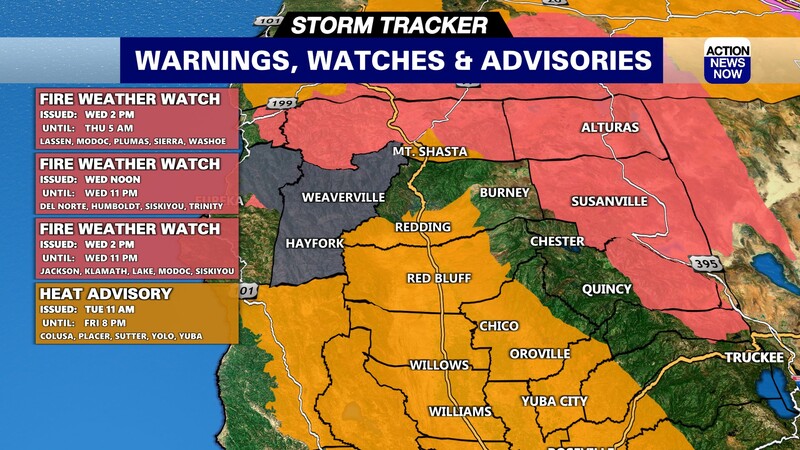 Valley areas could get gusts out of the South up to 40mph, and mountain areas could see gusts up to 60mph. Heavy rain, strong winds, and cooler temperatures should be expected from today through Saturday night. Some light showers may linger into Sunday morning, but most areas will dry out by the middle of the day. Temperatures will be slightly warmer for the end of your weekend, with valley areas topping out in the mid to high 60's by Sunday afternoon. Dry conditions, and warmer temperatures are on the way for your Monday. Skies will be mostly sunny, and high temperatures will top out in the mid 70's in the valley for the start of next week. Another wet and cool system will then take hold of our region on Tuesday, and last through the middle of next week.